The cover letter accompanies your resume as part of your job application ‘pack’ and is meant to expound on information in the resume. History is replete with job applicants that missed out on important opportunities simply because they did not send a cover page. There is no standard length of a cover letter but ideally it should be no longer than one page and a maximum of three paragraphs. You want to catch the recruiter’s attention as quickly as possible and a long cover page is unlikely to do that. Candidates must make the cover letter work to their advantage and be the gateway to landing that all important interview. So whereas it would be easy to simply answer ‘Yes!’ on whether you need a cover letter, a look at the reasons why it is important would provide for a much more plausible argument for this short but vital document in your job application. * A snapshot into your way of thinking – Most recruiters are looking for someone that stands out from the crowd and that can clearly demonstrate how they will fit in to the organization if recruited. One can show what they can bring into the organization as opposed to just what they expect to gain by getting hired. Where two or more candidates are practically dead even in academic qualification and experience, a compelling cover page can provide that vital tipping point for one to secure an interview or be hired for the job. 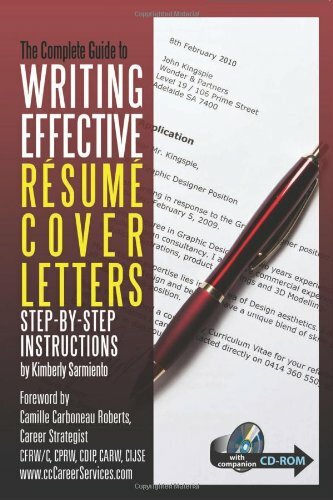 * Ability to write – A cover letter more than the resume provides a good example of your writing capabilities. Written communication has and will continue to be an important skill in today’s organizational environment. Therefore, choice of grammar, language, punctuation and spelling must be carefully considered. Mastery of grammar and the articulation of ideas is a strong statement of your professionalism and would provided additional impetus for the recruiter to pick you out from other applicants. * Your personality – A cover letter gives you a better platform to be yourself and show your personality than the resume does. The resume must follow a certain structured format which makes it very formal with little flexibility. Your resume lists your education and experience but your cover letter allows you to demonstrate these skills and your knowledge of the work you will be expected to do. * Address concerns – The cover letter can be used to put to rest certain uncomfortable issues that the recruiter may already know or may find out about you. For instance, in this era of technology and heavy use of social networking websites, many employers may not like what they find out about you in case they decide to look you up on the internet. It is better if you proactively raise the issue and briefly explain the circumstances on your cover letter as opposed to the recruiter finding out on their own. * Use the cover letter to tell your story – People usually remember personal stories more than they do a bland text. You can catch the attention of the recruiter by relating a story that cements your interest in the job. For instance, if you are looking for a job in a food production company, you can talk about how you grew up eating their products. That said, the stories must be truthful as lying will have the exact opposite effect. So based on these reasons, it is increasingly clear that accompanying your application with a cover letter presents more opportunities to sell yourself and thus increases your chances of being hired for the job. Did you find this article helpful? If so, I encourage you to read how to write a resume cover letter and information on how to write a resume for a job.